Well, there are no clear answers, though there are some hints. Google listed turmeric as the number one "rising star" of 2016 food trends, and Food52 hypothesized that the fascination with its bright color and its buzz as "the new superfood" is why it's showing up everywhere. As for me, I believe it's a flavorful and delicious alternative to packets of Swiss Miss hot chocolate—with possible health benefits to boot. (In contrast, all those instant chocolate packets can promise over time is diabetes. The winner: turmeric by a mile.) Plus, if you love chai, then this turmeric-laced drink will be right up your alley, as it's chock-full of the same spiciness that makes chai so addictive. Well, other than the fact that golden milk is freaking delicious, it also may have positive effects on your high cholesterol or osteoarthritis (if you happen to suffer from either). The active ingredient in turmeric, curcumin, is a powerful antioxidant as well—just like blueberries or pomegranates. However, it's important to mention that turmeric has interactions with medications, too: if you're taking medication for blood thinners or for an elevated amount of stomach acid, you'll want to check with your doctor first before drinking a large amount of the golden stuff. To make golden milk, I followed the recipe and directions posted on Epicurious for golden milk turmeric tea. The ingredients are listed below, but make sure to check out their recipe for measurements if you don't feel comfortable winging it. Please note that golden milk can also be made using dried turmeric. However, it will quickly settle at the bottom of your mug, so you must stir well before drinking. If possible, I highly recommend using fresh turmeric for optimally fresh flavor. 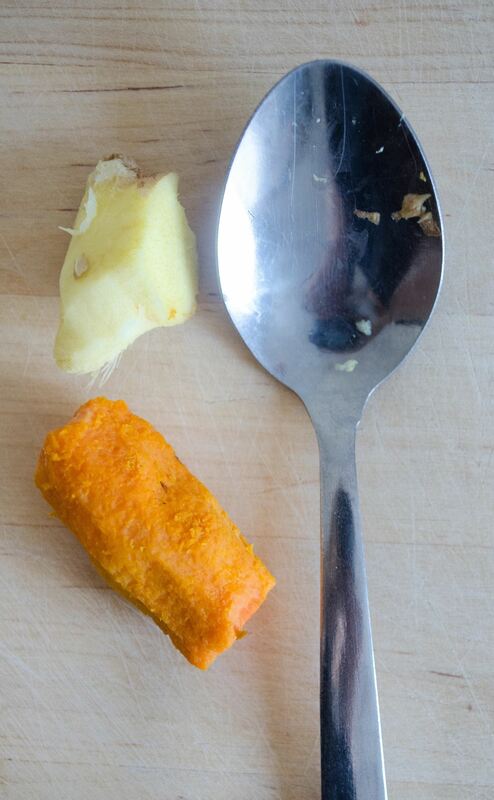 Use a spoon to peel the fresh turmeric and ginger. We have a great tutorial on how you can use a spoon to peel these roots that is way more effective than using a vegetable peeler or knife. 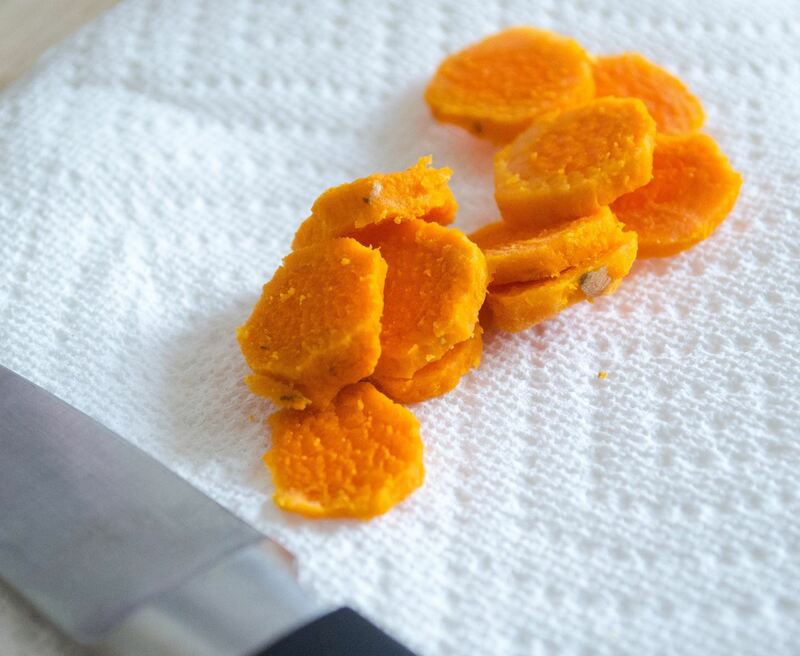 Once the turmeric and ginger are peeled, cut them into thin slices. Pro-tip: slice your turmeric on a piece of paper towel. Turmeric will stain everything, including your cutting board, fingertips, and your white T-shirt. Take caution of your white surroundings when working with turmeric. Don't Miss: Could Cooking White Rice with Coconut Oil Cut Calories? 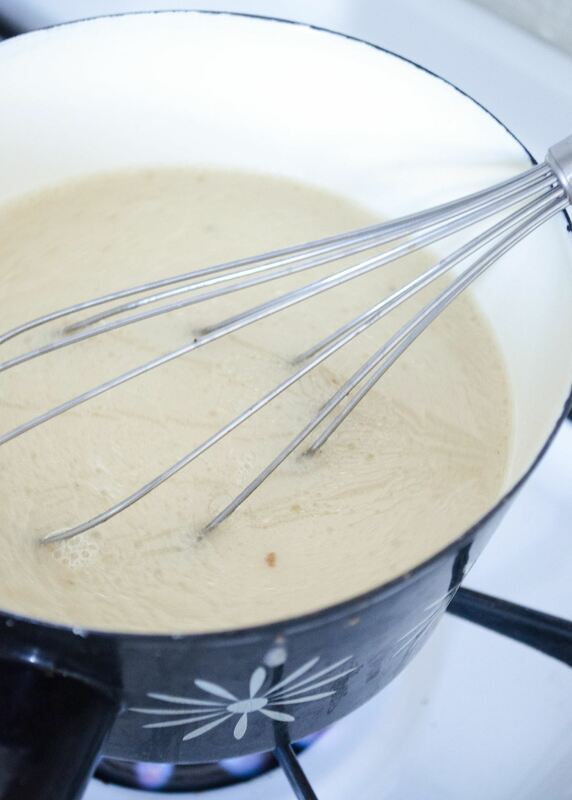 Transfer the ingredients to a small saucepan over high heat, then continue to whisk the mixture until it comes to a boil. 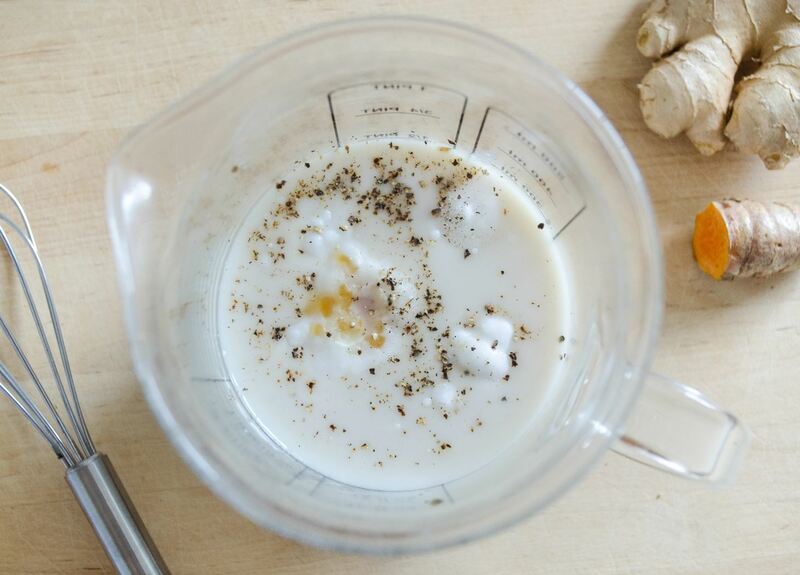 Once the milk starts to boil, turn the flame down to low heat and simmer for 10 minutes to allow all of the flavors to steep completely. You'll notice a rapid change in the color of the milk: it will magically change from white to yellow (golden, if you will). You will also notice an amazing aroma of cinnamon, ginger, and black pepper filling your kitchen, which will also magically cause your mouth to water in anticipation. 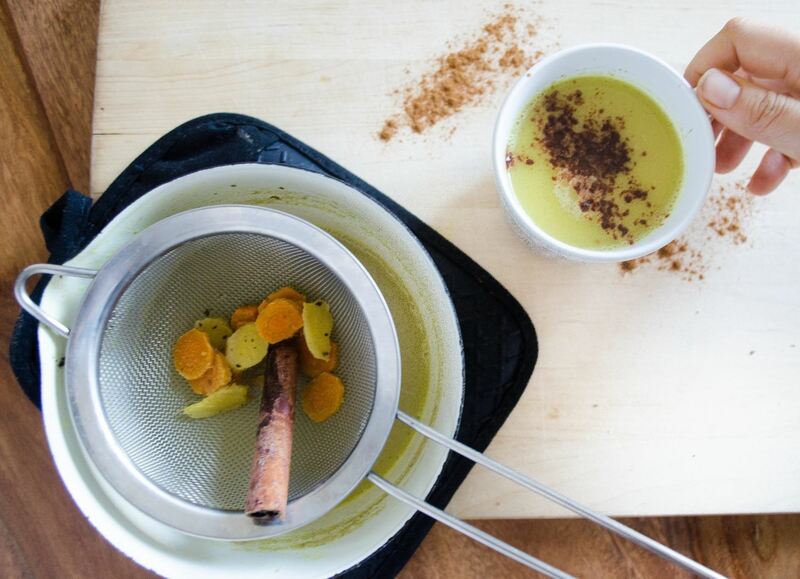 Use a fine mesh strainer to strain the turmeric, ginger, and cinnamon stick from the milk. Then, stir well and pour the warm milk into a mug. 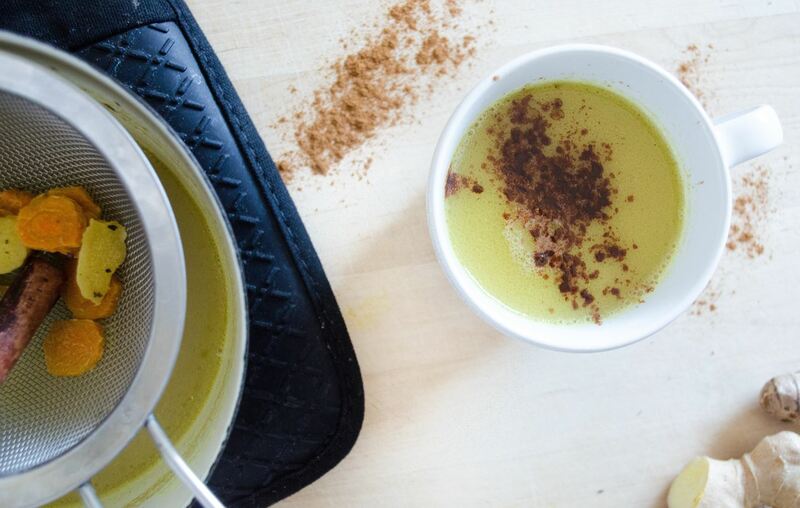 Sprinkle some ground cinnamon on top and sip your liquid gold! 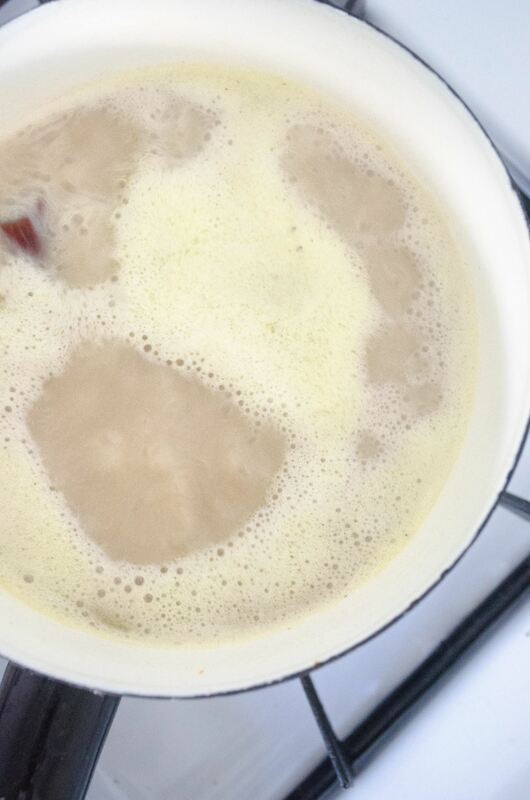 As for storage, Epicurious recommends using the fridge to store golden milk for up to 5 days. It can either be enjoyed cold straight from the fridge, or warmed back up over the stove. Golden milk is creamy, comforting, and very tasty. It's a great afternoon pick-me-up or before-bedtime treat, and its possible health benefits have made it a yummy way to enjoy what many consider "the next superfood." Or maybe you just want to jump on that hype train and run wherever it takes you (which is to over 23,000 posts on Insta, if you're curious). Either way, it's worth a try, especially with the weather getting colder. 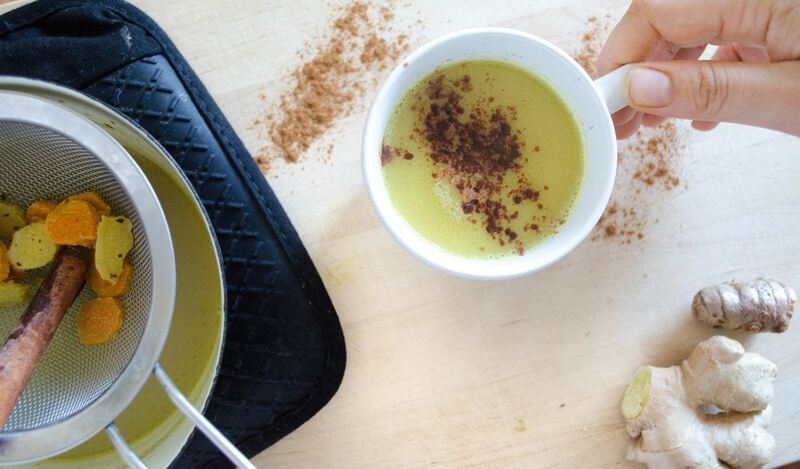 Golden milk beats crappy, watered-down instant chocolate any day of the week. Have you decided to give golden milk a try or are you already a sworn fan? Let us know in the comments.